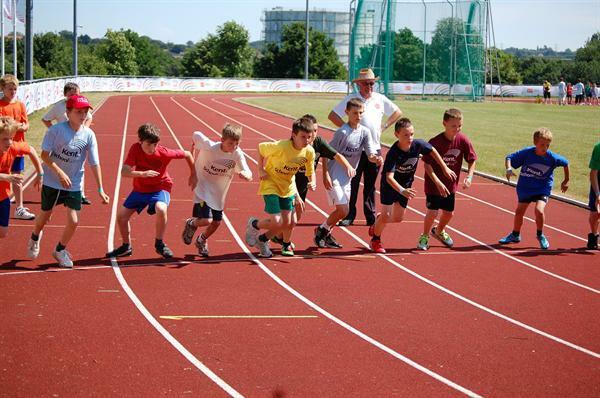 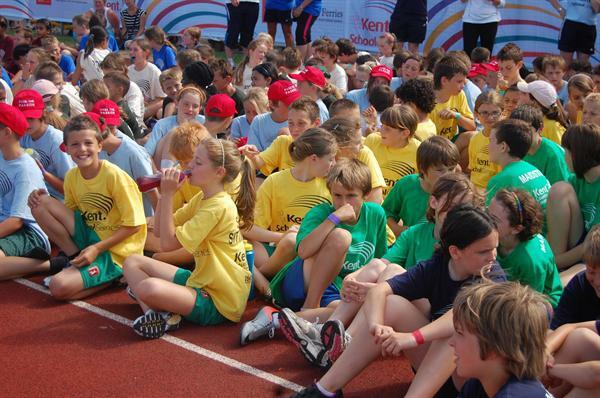 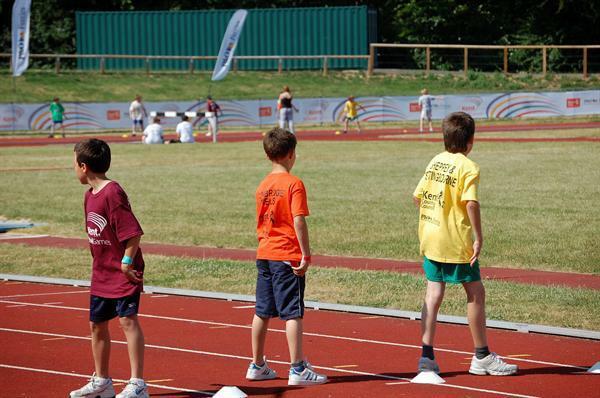 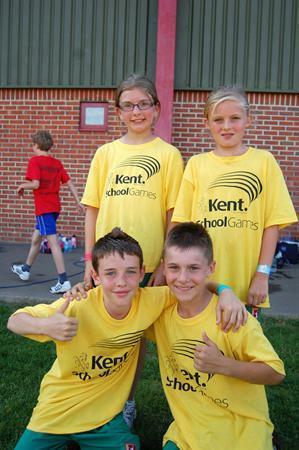 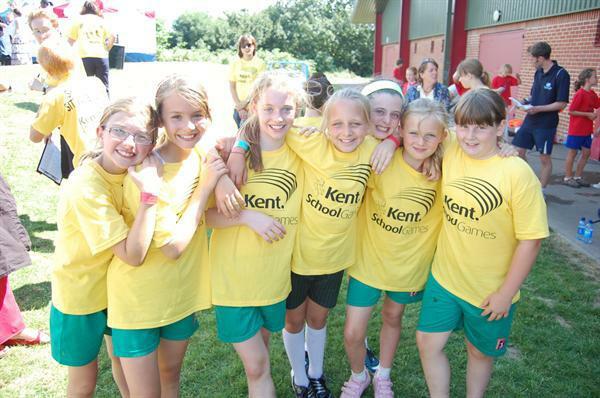 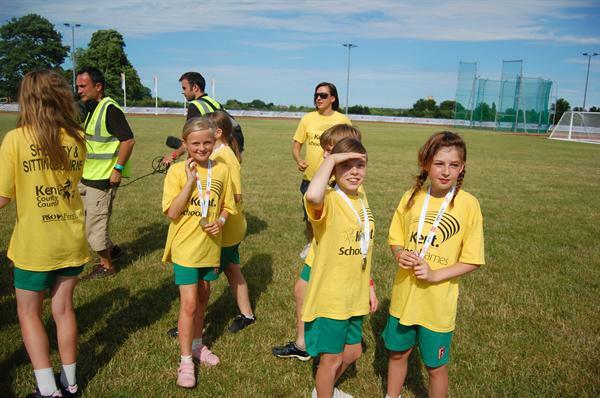 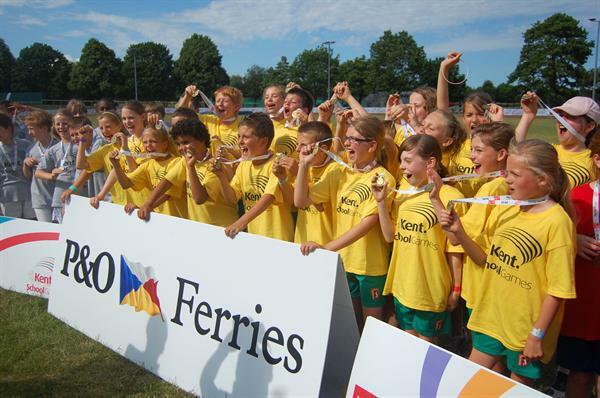 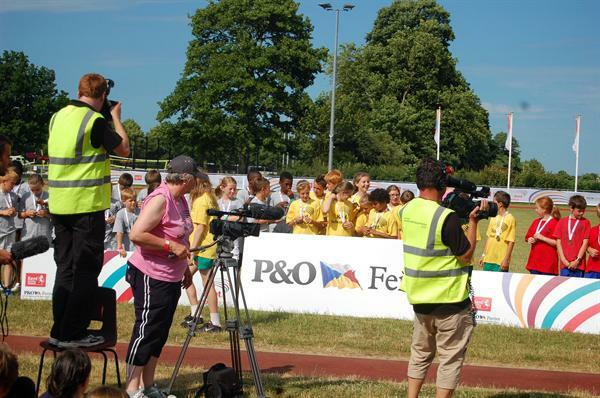 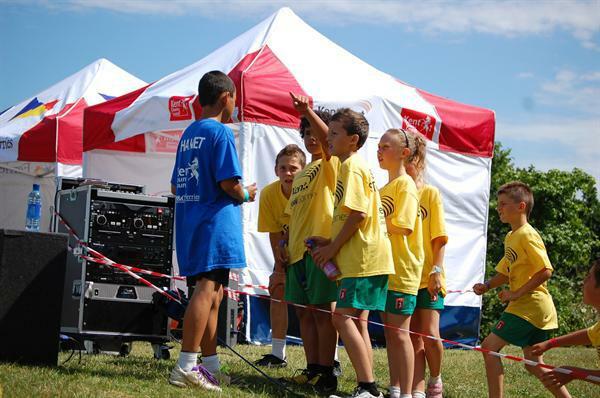 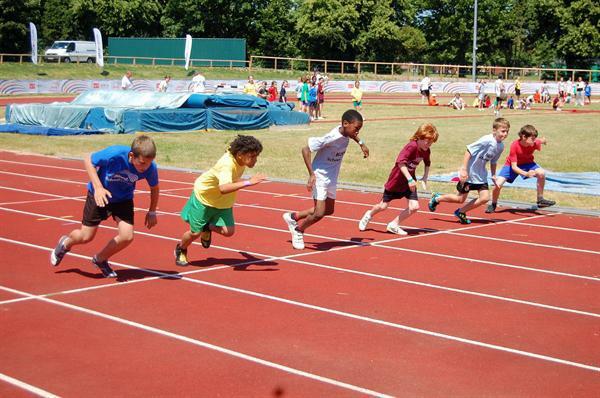 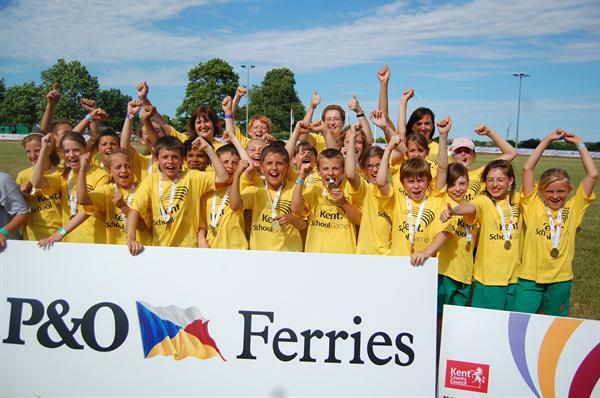 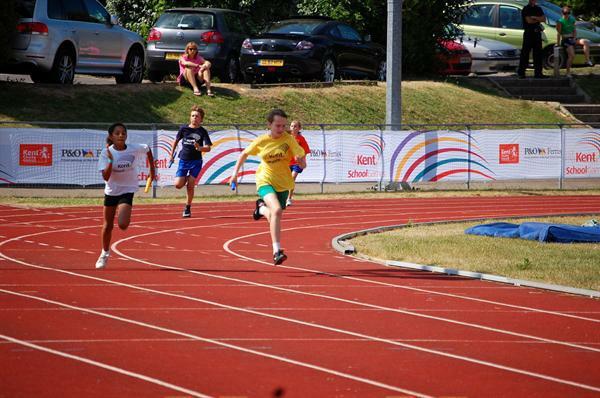 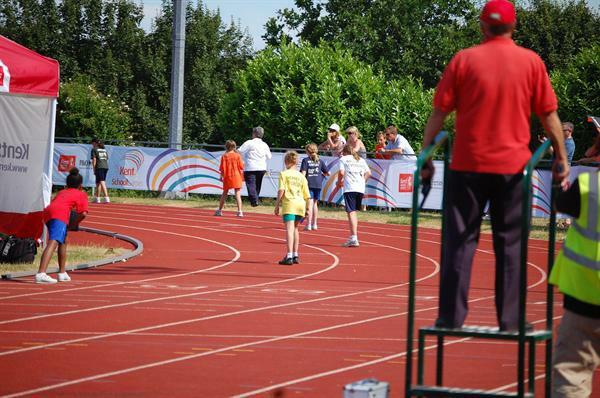 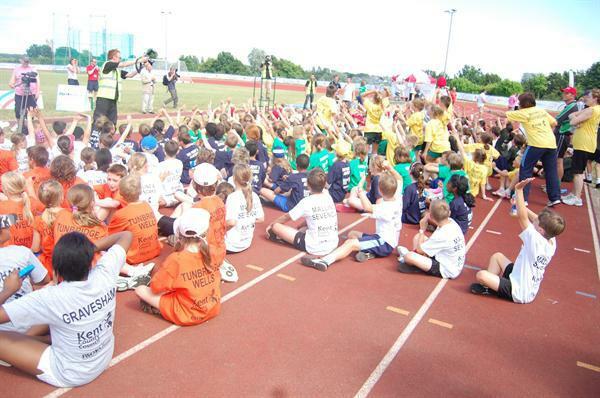 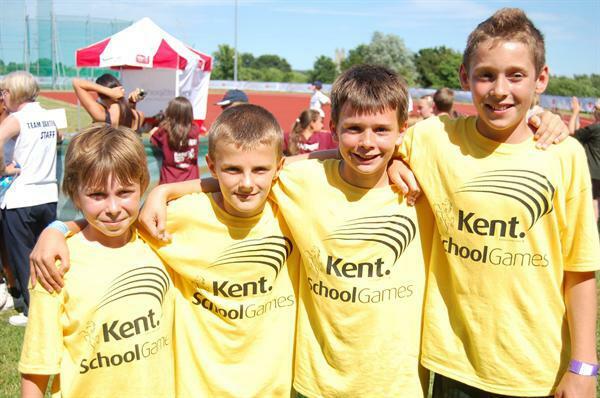 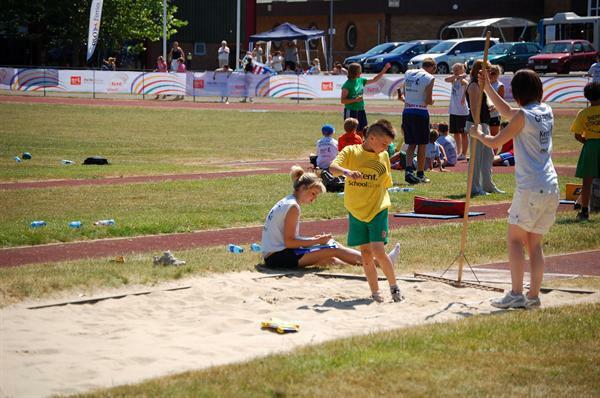 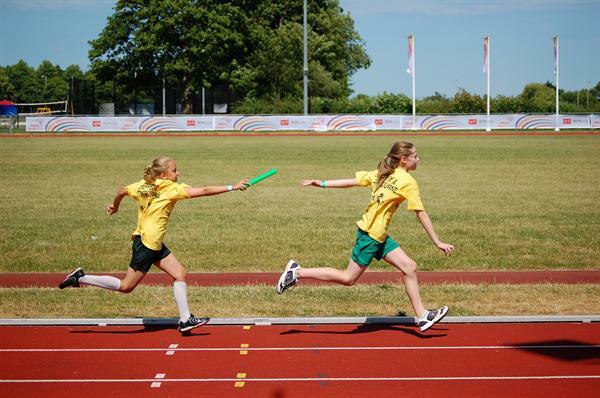 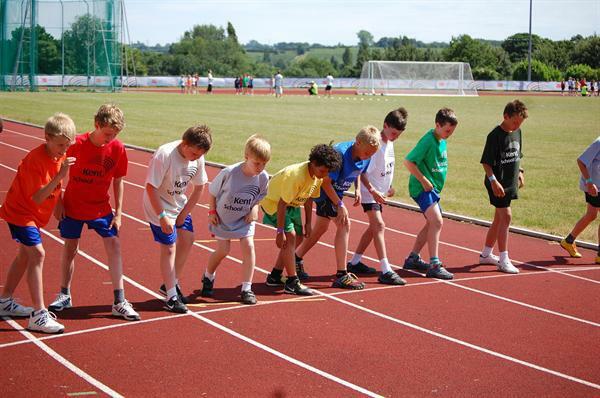 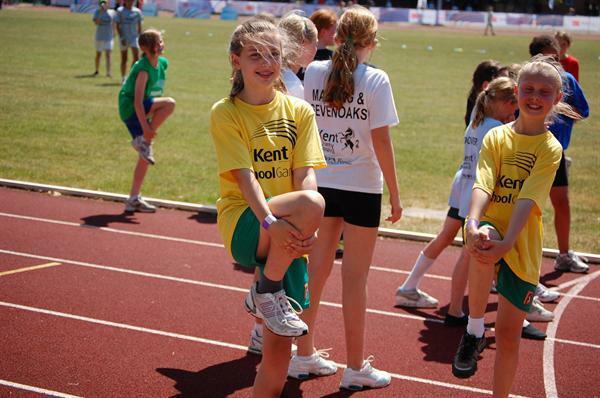 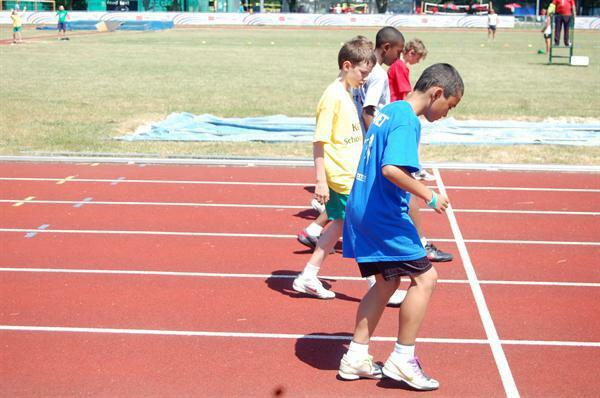 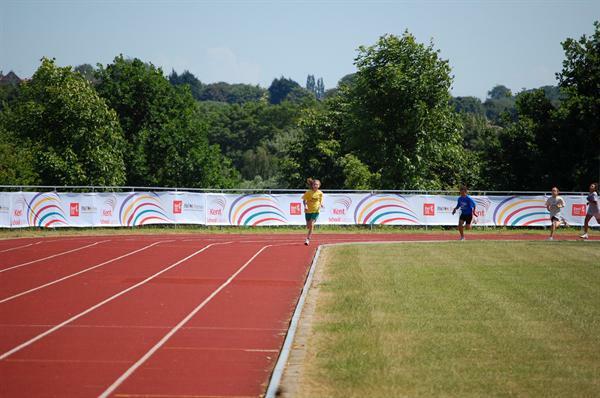 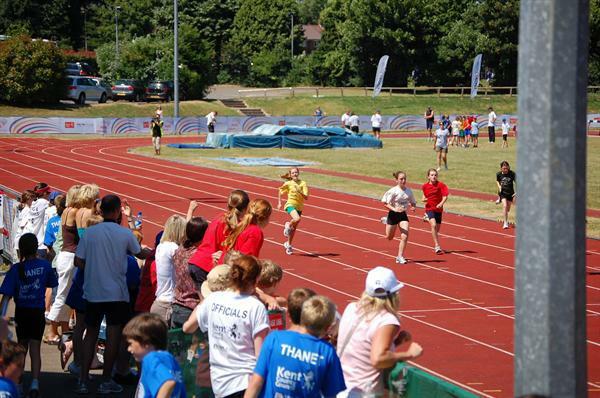 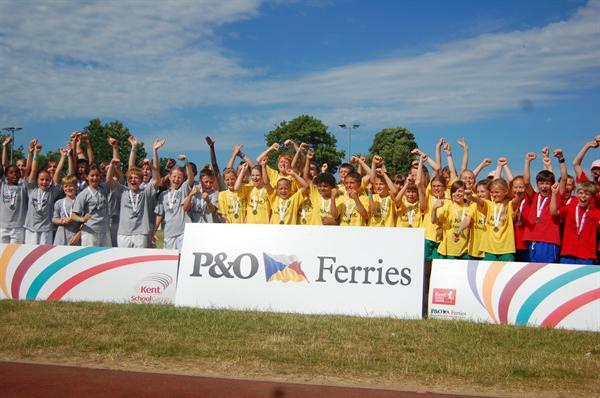 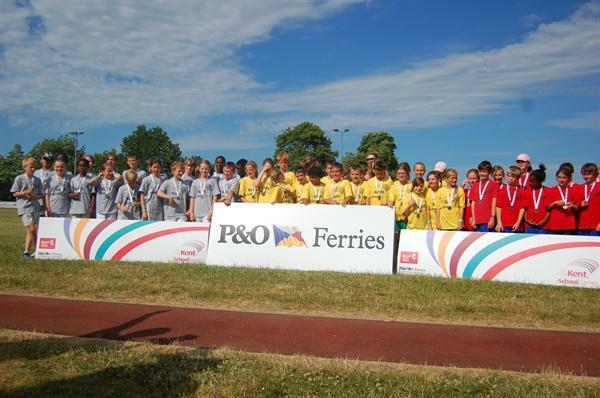 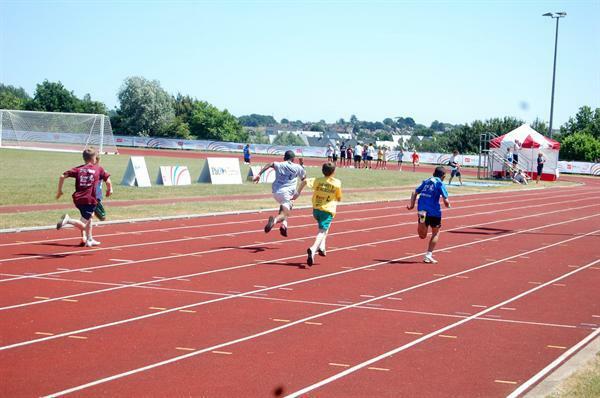 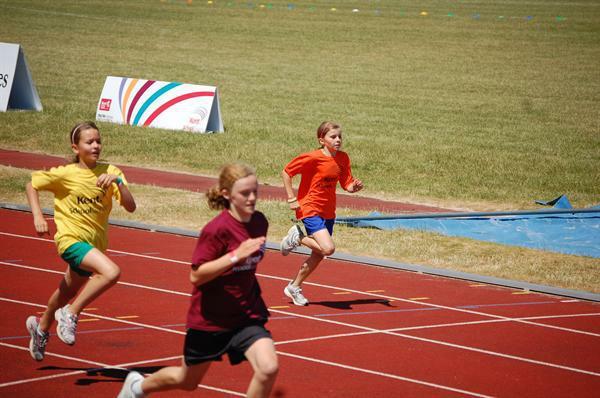 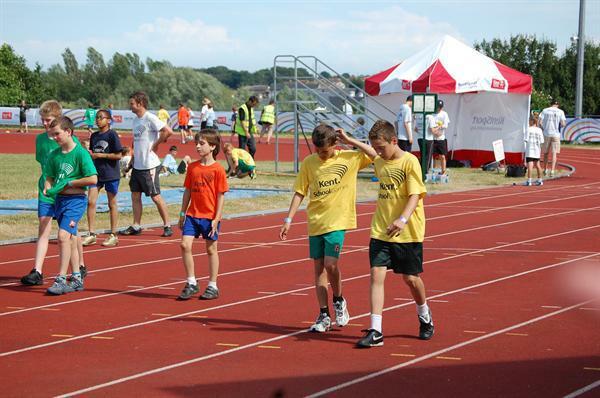 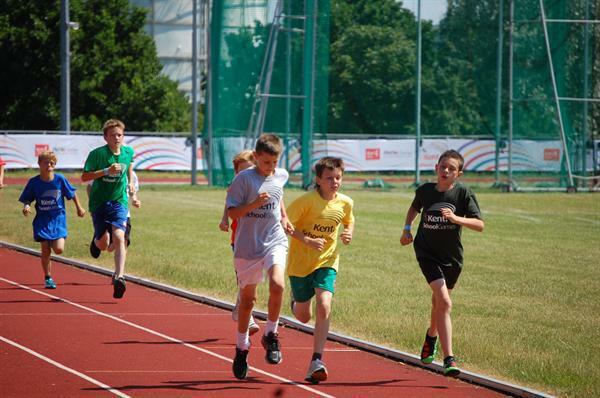 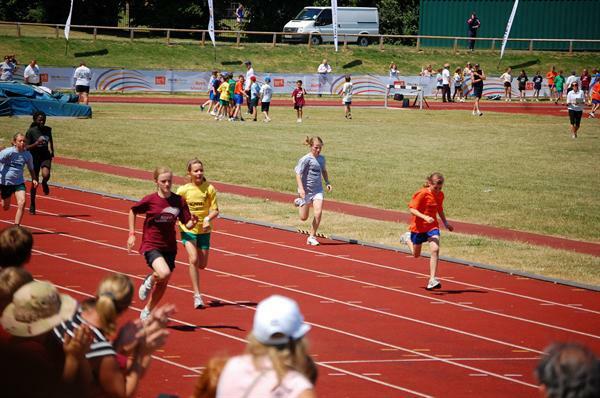 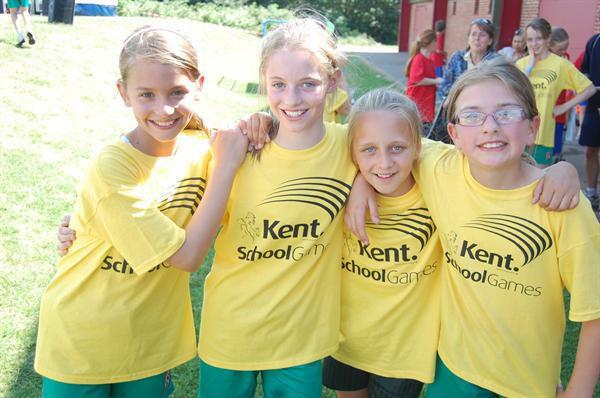 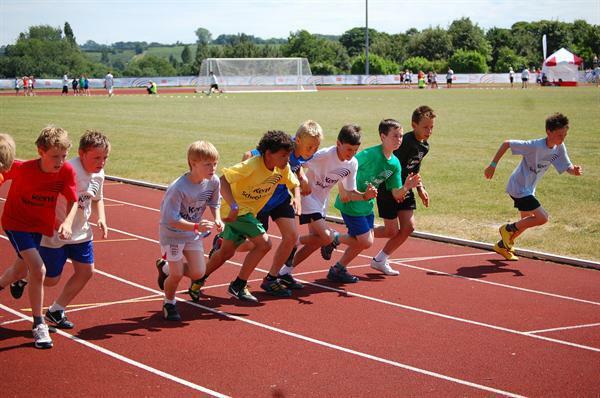 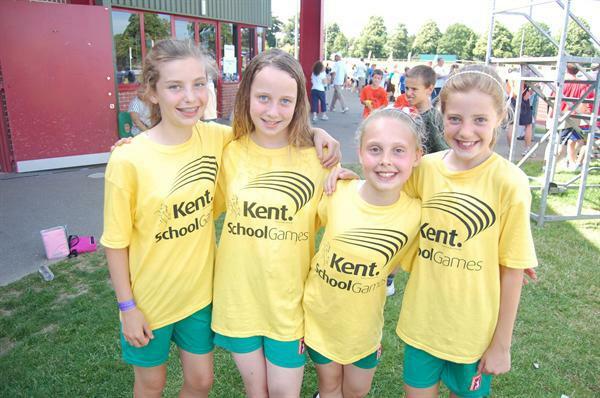 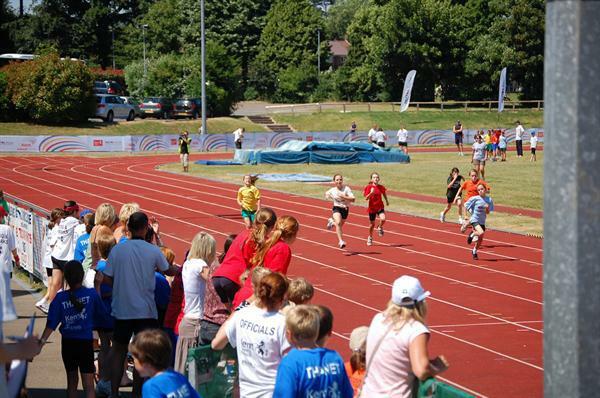 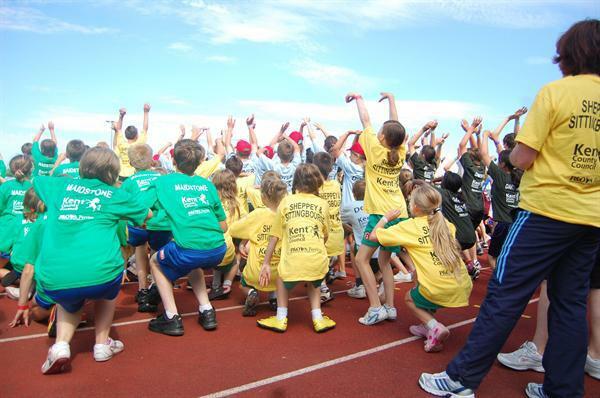 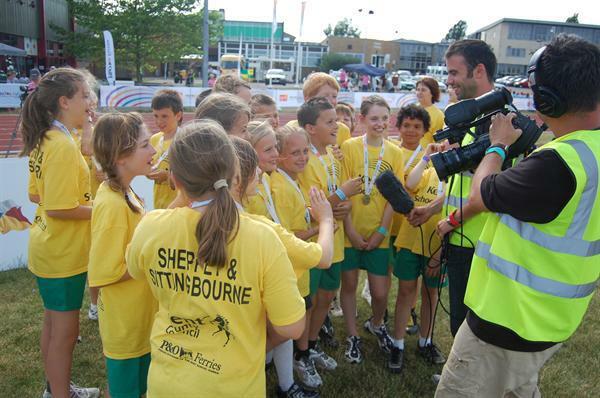 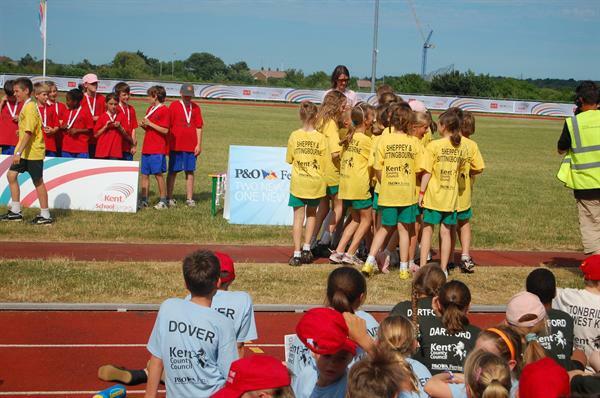 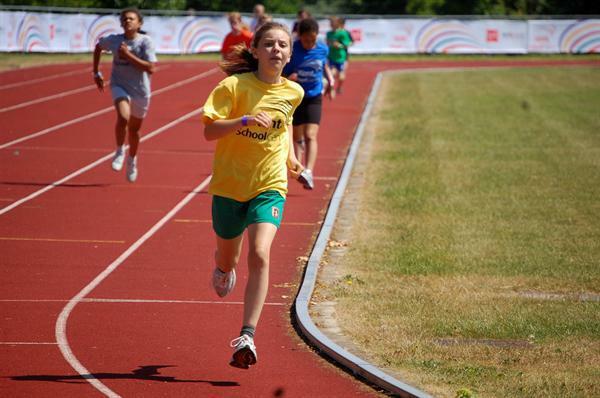 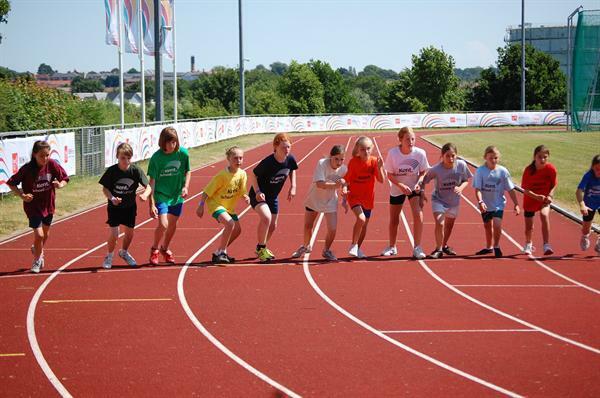 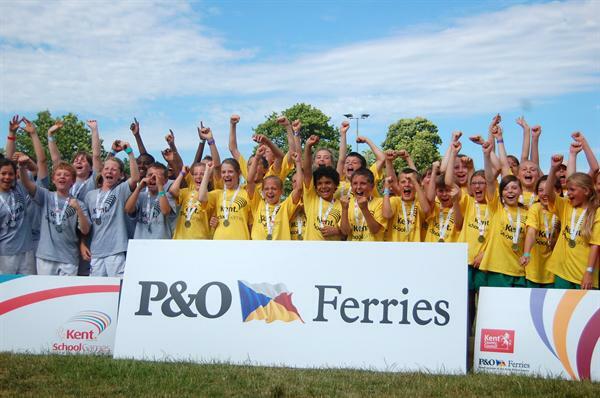 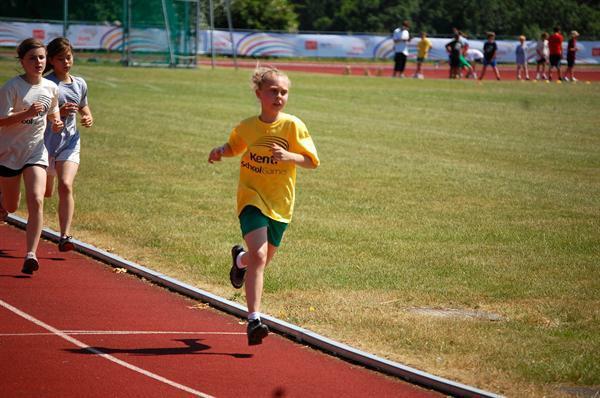 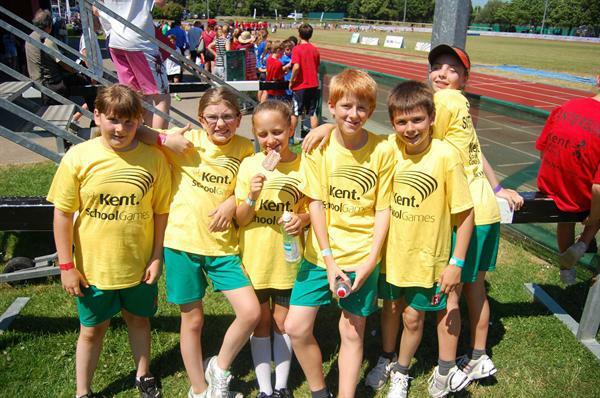 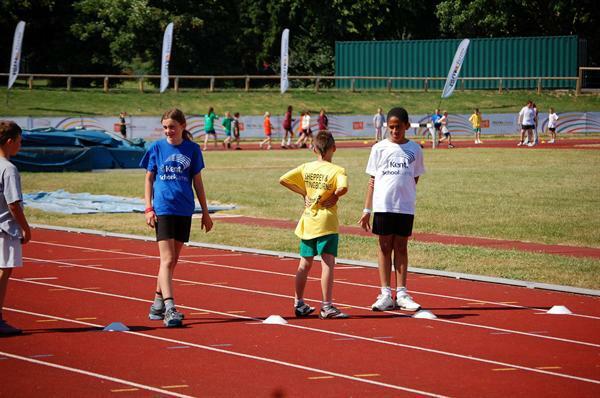 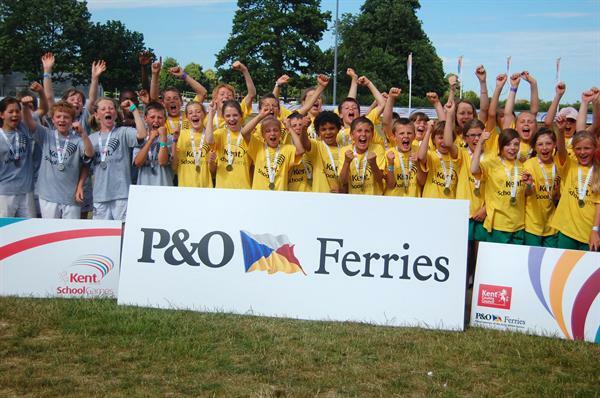 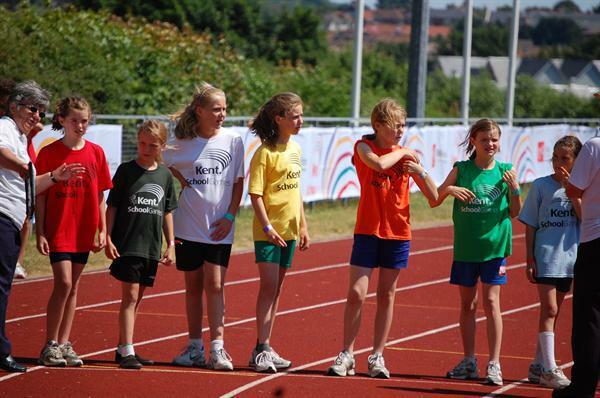 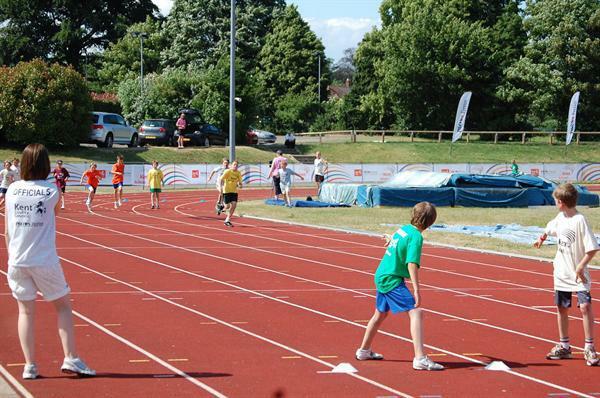 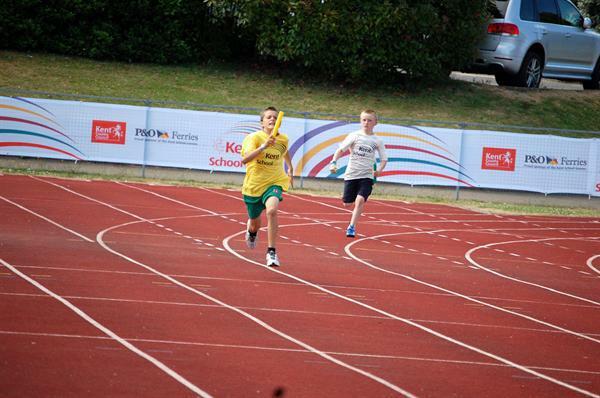 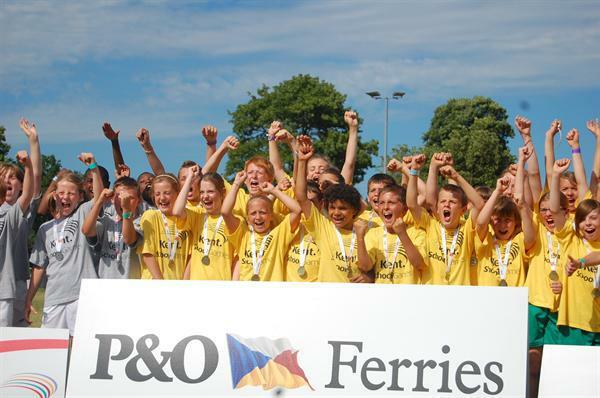 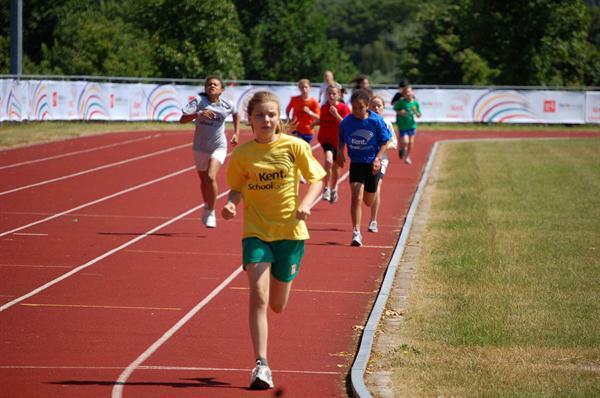 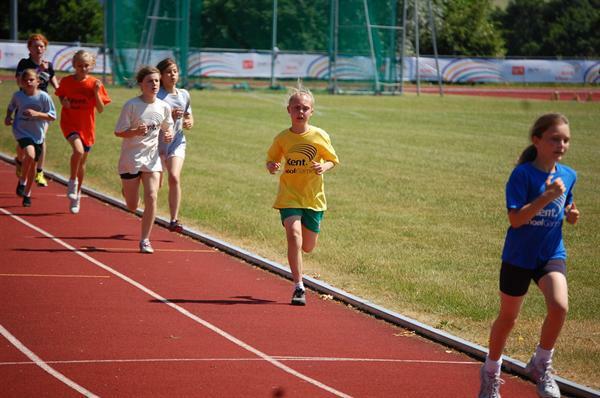 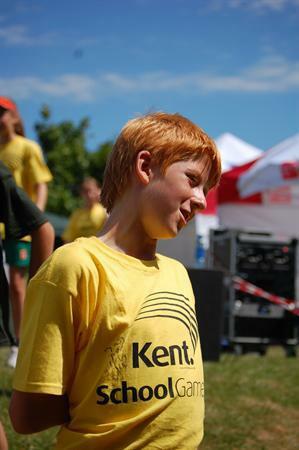 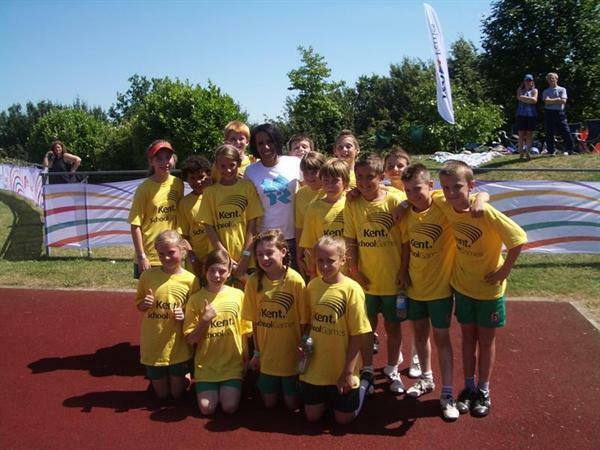 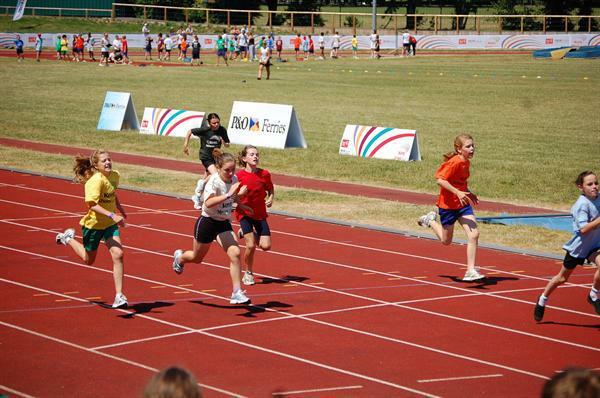 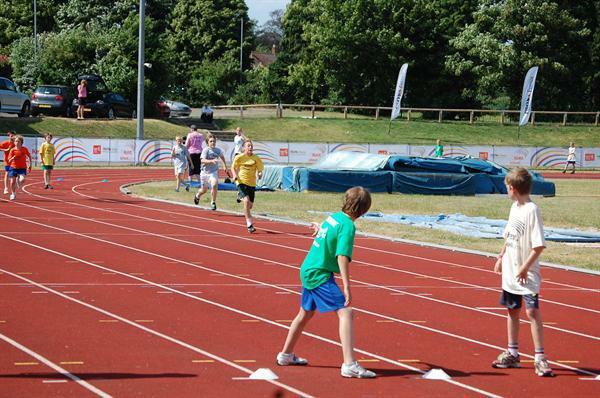 On a very hot Friday 2 July 2010, Minterne's athletics team, representing Sittingbourne and Sheppey, competed in the finals of the Kent Games. 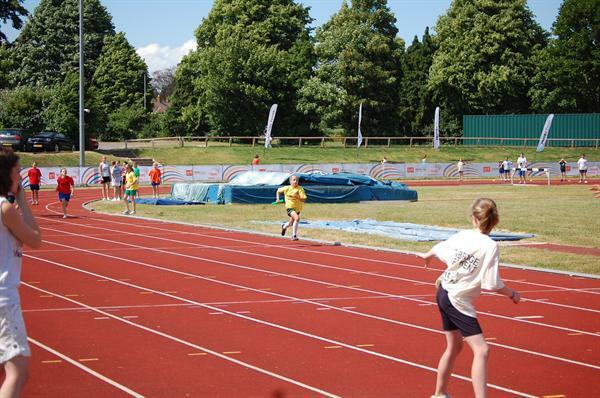 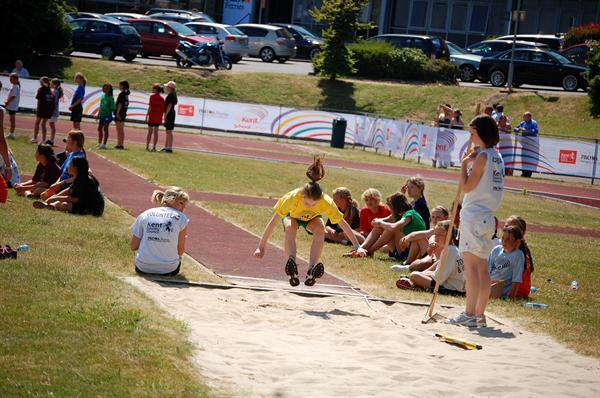 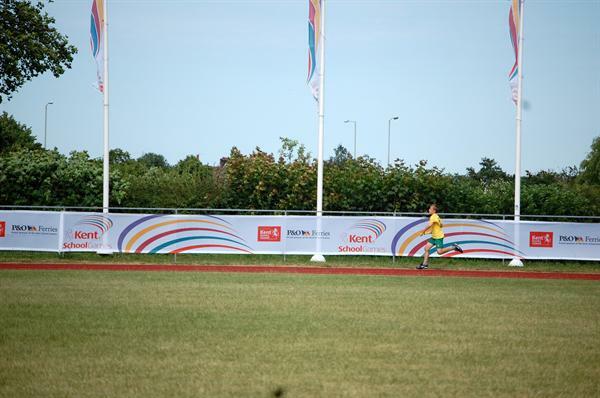 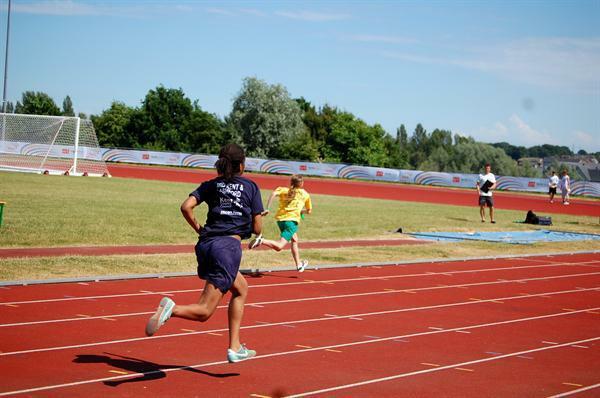 The event took place on the superb track and field facilities at Canterbury High School. 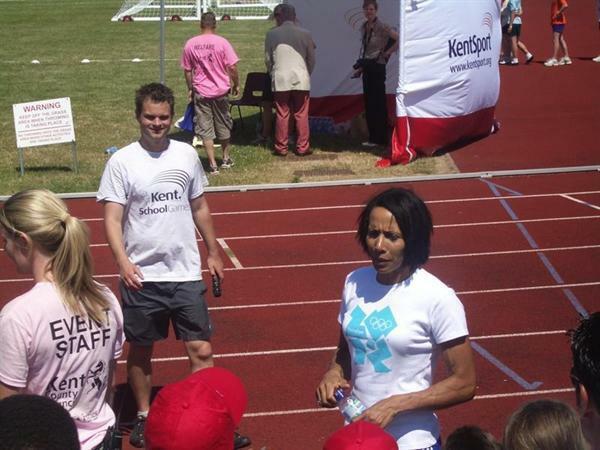 The children were particularly thrilled by the visiting Kelly Holmes who posed for a group photograph. 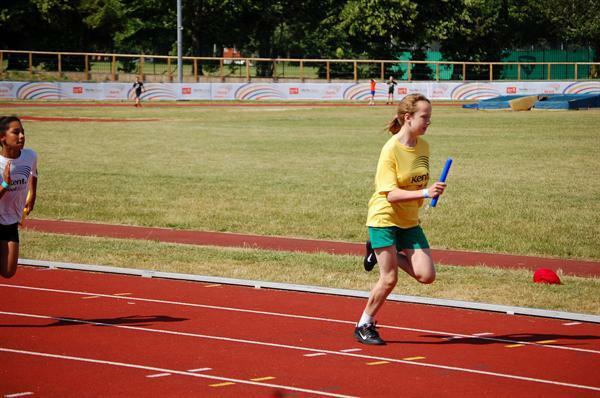 Our athletes battled hard all afternoon winning some events and being highly placed in many others. 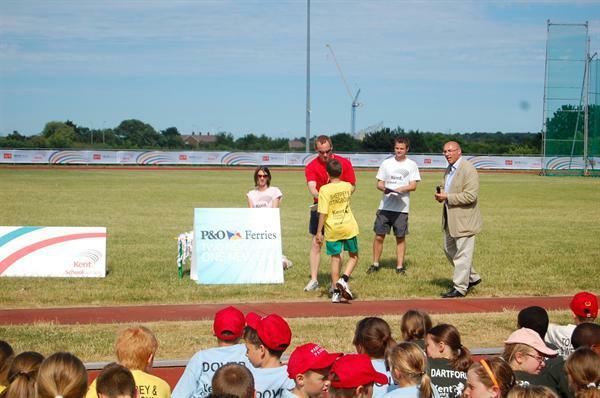 There were many individual best scores. 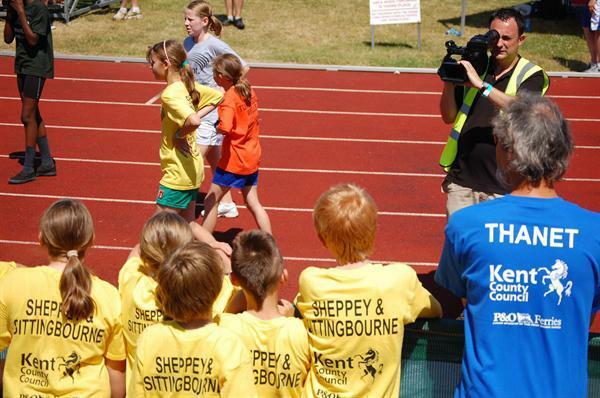 When the final scores were announced we were thrilled and delighted when Sittingbourne and Sheppey i.e. 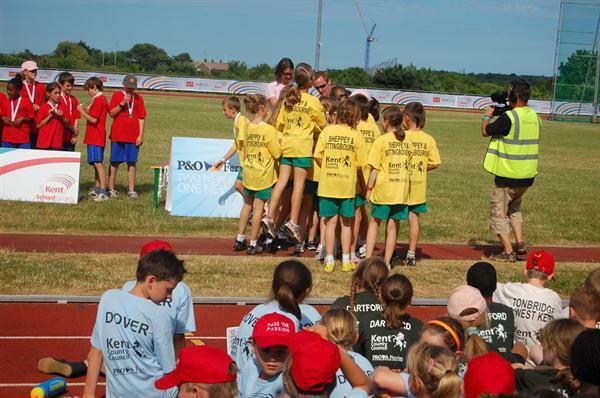 Minterne was announced as the overall winner. 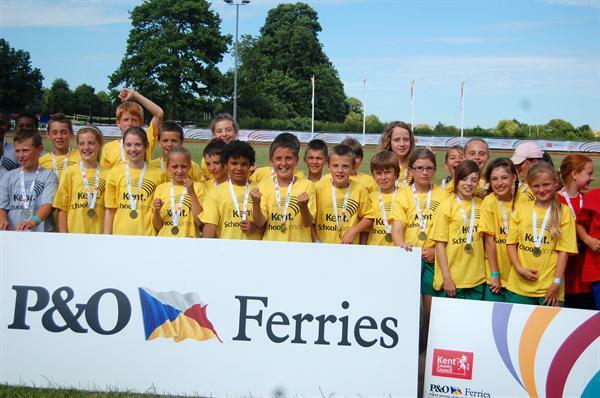 We had also managed to win by the amazing margin of 150 points!!! 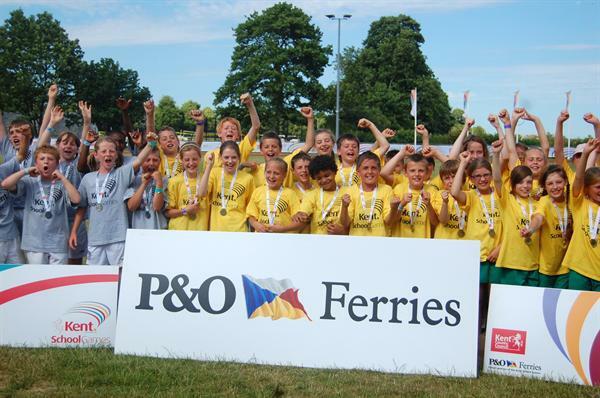 Our team looked skilful and professional throughout and we were incredibly proud of them all. 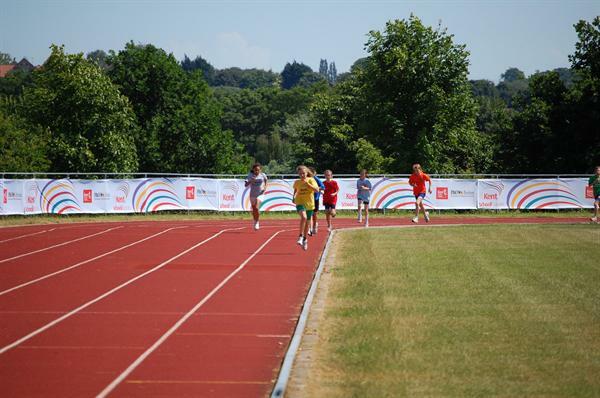 This is the first time that we have competed on an outdoor track and our thanks go to Mrs Mitchell and helpers for preparing our pupils so well. 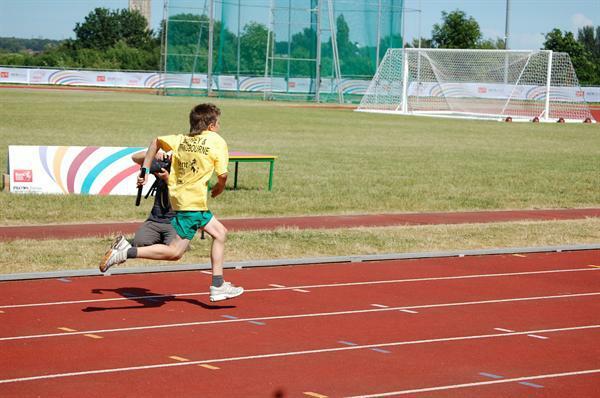 I will attach the full results when available.